The four man Lankan team of officials that flew to Pakistan and Myanmar to select rice tranche, has returned to Colombo today July 14 morning-and reports tale of a government to government level success. No less than 55000 MT rice has been made available to Sri Lanka immediately by both Pakistan and Myanmar. Minister of Industry and Commerce Rishad Bathiudeen, whose team of officials took of on July 7 to Pakistan and Myanmar, praised the team’s win on 14 July. “After this successful tour, it is clear that there will be no more rice shortages in the domestic markets-or even any likelihood of it. Some elements in the market are trying to create an artificial shortage” Minister Bathiudeen said. The team of officials that flew out on July 7 was led by Secretary of Ministry of Industry and Commerce Chinthaka Lokuhetti, and two officials from the Finance Ministry and a food technologist from ITI. According to an official who returned, Pakistan has agreed to supply 25000 MT immediately. No final price has been quoted yet but once the final price is agreed, will be shipped from Pakistan in early August. Pakistan is also ready to supply some more rice quantity by September. Myanmar is ready to supply another 30000 MT immediately and its final price too, to be agreed. According to the officials who returned, the Sri Lankan team was given a very warm welcome at both destinations, was promptly attended and samples were then given. 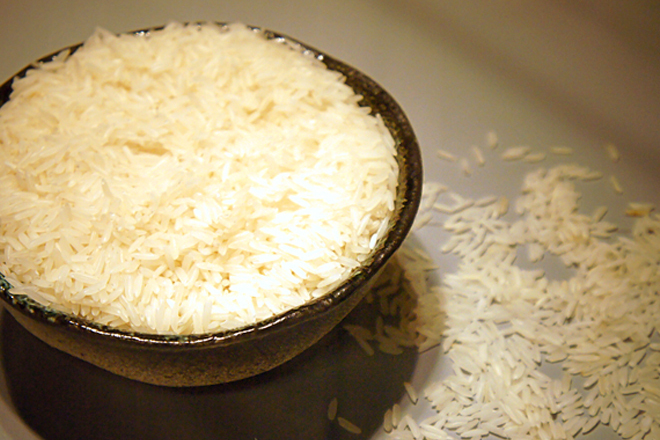 The rice samples tested in Pakistan were already milled and in good quality. Myanmar rice too is of good quality –only that it requires to be re-milled and Myanmar is ever ready to mill them before shipping to Colombo. Lankan officials and food technologist also performed their own cooking tests on the samples given to them at both destinations and say that the quality and taste to be ‘very good’. Sri Lankan officials also bargained for lower prices than the prices first quoted by both Pakistan and Myanmar officials. Officials of both countries agreed that such bargaining is acceptable and said shall submit Sri Lanka’s bargained price quotes to their respective Cabinets (of Ministers) for approval, to complete the government to government sales. Previously on 22 June, Minister Bathiudeen met HE Ambassador Designate of Thailand to Sri Lanka Mrs Chulamanee Chartsuwan, HE Ambassador of Indonesia to Sri Lanka Gusti Ngurah Ardiyasa and Acting High Commissioner of Pakistan Dr. Sarfraz Ahmad Khan Sipra at the Ministry of Industry and Commerce to call for government to government rice supplies to Sri Lanka. All the HE Ambassadors present pledged immediate support to Sri Lanka’s efforts to procure the needed rice tranche. The Cooperative Wholesale Establishment (CWE) under Minister Bathiudeen has been roped in for the local distribution work of imported rice.